Content providers must provide an effective user interface so viewers can quickly find desired content. This goal is challenging. Innovation in the media and entertainment industry is at an all-time high with devices, backend technologies, operating systems and consumer behaviors constantly evolving. A key element of this evolution is how viewers see, experience, navigate and consume the content they want. Which is why delivering an effective user interface (UI) for video consumption is a top priority for any provider that wants to remain competitive. In a perfect world, a viewer would sit in front of a screen and know exactly what to watch with a system that automatically plays the right piece of content at the right time. However, since this level of automation is not yet possible, a UI should work to get as close as possible to this experience. To understand and develop strategy based on user behavior, we have a dedicated user research team that conducts online and in-person research for the purpose of collecting feedback and stories from real-world test groups. Through STBs, TV apps and mobile devices (iOS and Android), the San Francisco-based User Research Lab provides the ability to test new designs and prototypes. Product and design teams observe and interact in research sessions from adjacent observation rooms, allowing for the collection of valuable, qualitative feedback. In addition to the lab, qualitative and quantitative data is collected through online usability studies. Designs are tested frequently, iterated on, and retested, resulting in designs that have been evaluated by multiple users around the world. These research capabilities combined with a strong investment in understanding user behavior, have uncovered five reoccurring themes that have a significant impact on viewer experience. Based on these findings, below are the top considerations to deliver an efficient and effective UI. From the first time a user looks at a screen, it should be obvious how content is organized and how they can easily and quickly get to their destination in as few selections as possible. While this might sound easy, it is actually quite difficult. User behavior is changing, and TV and video consumption has a very broad user base. In partnership with Ampere Analysis, NAGRA recently worked to uncover the new reality of the pay-TV consumer landscape. The results identified five distinct primary ‘TV Tribes’ across ten advanced markets across the world. With this knowledge, providers can appeal to people with existing paradigms. Some will prefer the EPG, some are more familiar with apps, while others may want to find content purely based on recommendations or voice search. Today’s content must be served to multiple types of displays and technology. For example, people who love the traditional EPG approach typically know the channel number associated with their favorite programs and enjoy the ability to scroll down the guide for something that interests them. In a recent study, we asked participants to select the various ways they currently navigate through their channels on Live TV. Findings showed that 41 percent use the arrow keys, 38 percent use the EPG and 69 percent enter channel numbers directly to navigate to their desired content. By replacing the UI with search and menu navigation, a significant number of these users may have their main form of navigation impacted. If you steer too far away from this traditional UI, you would be neglecting this audience and increase the risk to churn. At the same time, a different type of user might prefer the scrolling effect of video consumption menus that can be sliced and diced based on preference. A great UI is about understanding the entire customer journey and art of blending these preferences to appeal to the broadest user base. This is how service providers grow their subscriber base and give consumers what they want. An extension of being intuitive and fast, the best UI is not intrusive. It gets the viewer to the content they want and then gets out of the way. As innovation in UI progresses, there is a tendency to want to leverage the latest technological imaging with impressive visual effects and animation. However in reality, these bells and whistles do not benefit the viewer. Great design leverages the latest tools and applications to enhance the user experience, not deter from it. It’s not about how much you can pack onto the screen, but what you do to make the consumer experience seamless and enjoyable. Keep it simple with a minimalist approach to get the consumers off the guide and watching the content they love.This might include changes to category names for better comprehension; changes in text sizing for improved readability; adjustments to the discover page for broader understanding; and adjustments to the screen layout to better align with users’ natural use of the remote control. Consumers and their devices are intimately connected with various profiles that travel from device to device. When you log into your profile on your favorite social media platform, whether on your computer or mobile phone, it knows who you are and adjusts its feed accordingly. Video consumption should follow suit. This personalization is a key component in generating a great UI and is not possible without strong metadata and real-time data analytics on the backend. The more insight you have into the content available, consumer behavior, usage patterns, preferences and demographics, the better. Whether you are on your mobile device or in the living room, the screen should work to organize content based on your specific wants and needs. However, with various people in one household using various devices, this effort is easier said than done. The advantage of knowing who is most likely watching TV at any given time of the day delivers the insight needed to give viewers what they want. For example, knowing that the adult male in the household typically watches action movies at 9 p.m. after the kids go to bed opens the door to present tailored recommendations that keeps customers happy. Advanced analytics and emerging AI possibilities leverage various algorithms on the backend to help power search and recommendation engines to deliver desired content. An important element of bringing this all together is strong metadata. Dynamic, high-powered metadata can enable content synopsis information, mood analysis capabilities, cast and crew associations, etc. This capability is imperative to being able to leverage a provider’s content catalog in the most efficient and compelling way possible. A service provider is only as good as its content catalog. This is why an operator’s backend control to leverage this content is a key factor when delivering the best UI. While the hot new release TV show or movie is a strong addition to any content arsenal, the older content can also be presented to audiences as the latest binge-watch-worthy content. This is possible with the right content delivered at the right time to the right audience. While a large content catalog is a given, operators can leverage new programs against older content when equipped with a versatile backend management system. In recent years there has been a strong demand for an operator console that can deliver the flexibility and control to optimize content and take a more end-to-end approach to a strong UI. This could include a dashboard that can be reconfigured to different UI menus. For example, a provider can proactively promote soccer movies during the World Cup. All this can be done on the fly by simply right clicking a content piece and dragging and dropping into the UI. The users will then see the timely or regional specific content in their menu of option. This provides the opportunity to keep the UI fresh and leverage the content catalog available in the most productive manner. Consumers want the content they like whenever and wherever they might be. They don’t want to spend time thinking about where they can access said content. From recordings, user generated content and live TV, to Hulu, Amazon, Netflix and other third-party content providers, the list of sources to access content goes on and on, with each playing within their own respected silos. For the consumer, it is very difficult to remember where the content is coming from. There is nothing more frustrating than finding a new show you want to watch, only to find it is not available on your service. This is where content aggregation comes into play. While we see glimpses of this approach from the likes of Netflix and others, TV without boundaries is a non-siloed approach that provides consumers with access to all content in one place. 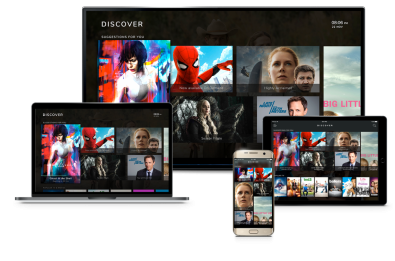 A UI that delivers global and unified searches that go beyond each platform’s borders is exactly what viewers want. Those that want to remain competitive will take note, and consider this in business strategy moving forward. UI can open up a world of possibilities to make TV the social and community experience it is and was always meant to be. We are just scratching the surface of what is possible with voice search and there are exciting things happening with social TV. Social communities will influence what and how you watch TV because part of the fun in watching something great is talking about it with like-minded people or celebrating the game-winning goal with fellow fans. With the right UI, anything is possible. Crx Chai is Senior Director of User Experience at NAGRA, a digital TV division of the Kudelski Group. 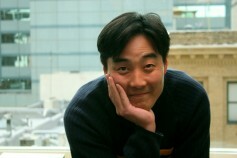 Chai has spent his entire professional career designing and producing interfaces for television.